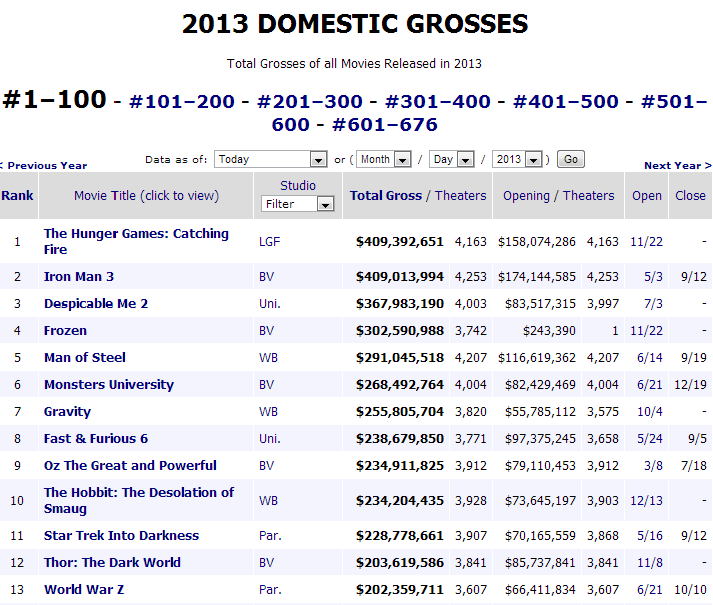 OFFICIAL: 'Catching Fire' surges past 'Iron Man 3' to become the Highest Grossing Film of 2013! Lionsgate has announced today that The Hunger Games: Catching Fire is now officially the Highest Grossing Film of 2013 domestically, surpassing Iron Man 3 ($409,013,994) with a current total gross of $409,392,651 at the North American Box-office. 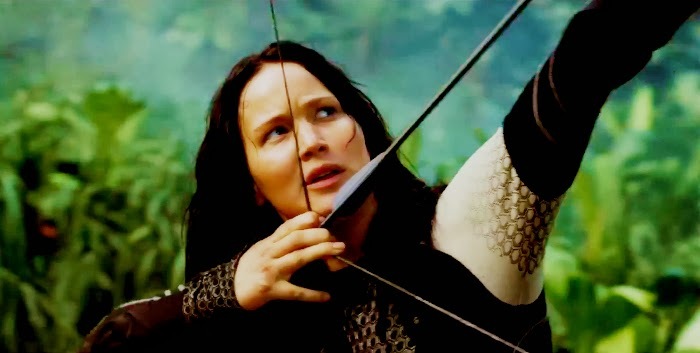 Catching Fire has also surged past the first film - The Hunger Games which ended its theatrical run in 2012 with a total domestic gross of $408,010,692. We also reported recently that the film has crossed the $400 million milestone at the North American box-office in just a matter of 42 days, a milestone that took The Hunger Games (the first film) 80 days to reach. In addition, it is also the 5th fastest film to ever hit that mark, behind The Avengers (14 days), The Dark Knight (18 days), Avatar (23 days) and The Dark Knight Rises (29 days). 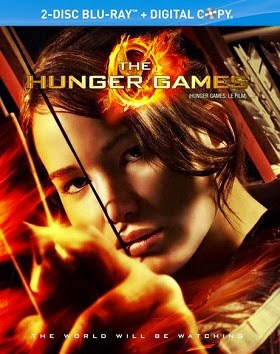 It is the first time in history that the first two franchise installments, The Hunger Games and Catching Fire, both generated more than $400 million at the Domestic Box-office. 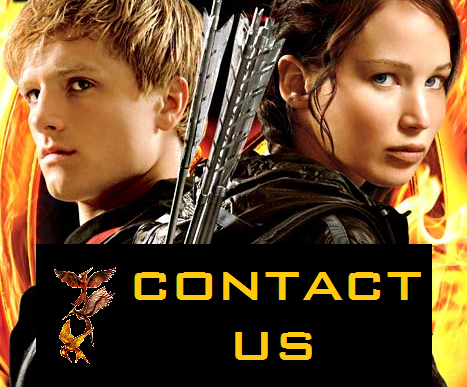 SANTA MONICA, CA, and VANCOUVER, BC, January 10, 2014 – Lionsgate’s (NYSE: LGF) The Hunger Games: Catching Fire became the highest-grossing film released at the domestic box office in 2013 as it grossed an estimated $493,000 last night for an estimated domestic cume to date of $409.4 million in its first 49 days of release, the Company announced today. 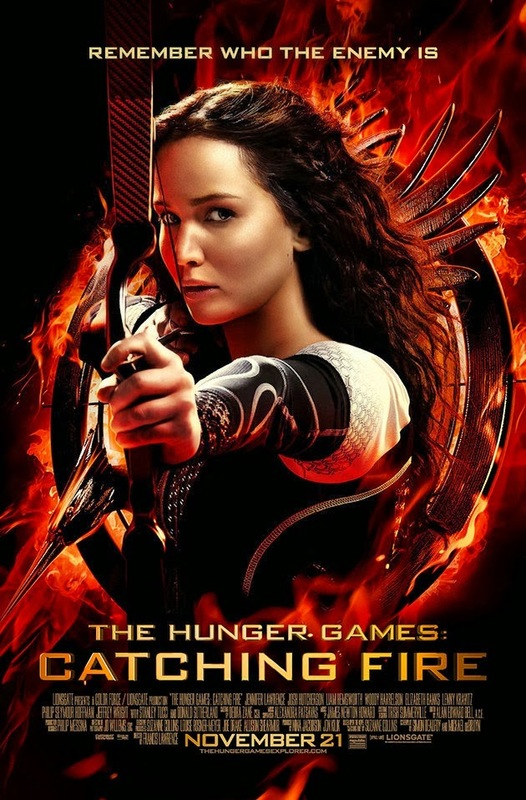 Catching Fire, which set records for the biggest November opening weekend of all time ($158.1 million) as well as the biggest three- and five-day Thanksgiving box office totals ever, has already become the 13th highest-grossing North American release in history and remains in wide release. 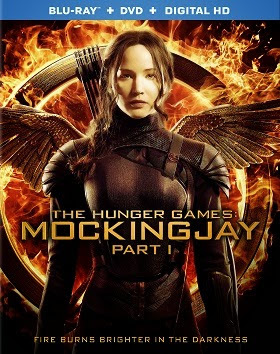 It passed the first Hunger Games film, which grossed $408 million at the domestic box office, on Tuesday and is the fifth fastest film ever to reach the $400 million mark at the domestic box office. 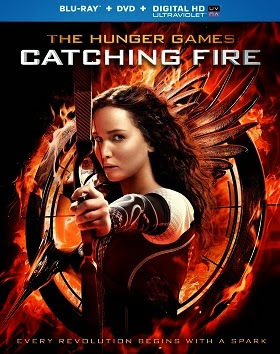 The success of Catching Fire marks the first time the first two installments of a franchise have each topped $400 million at the domestic box office, and both films now rank among the top 15 domestic film releases in history. 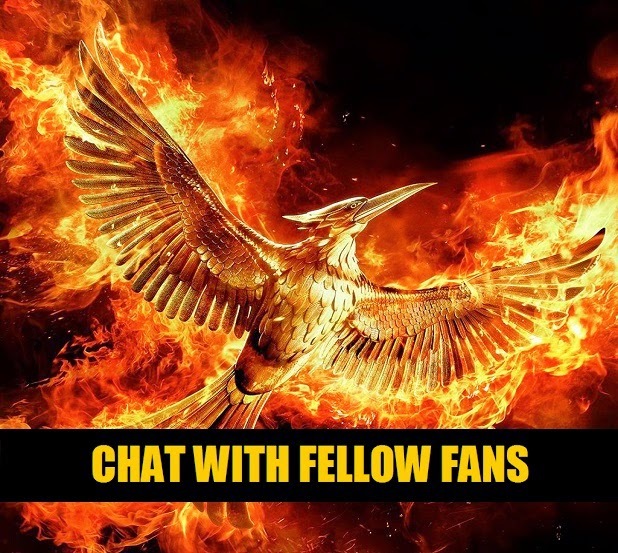 Catching Fire has also grossed $428.8 million internationally for a worldwide box office total of $838.2 million in its first seven weeks of release compared to $691 million worldwide box office generated during the entire run of the first Hunger Games film. 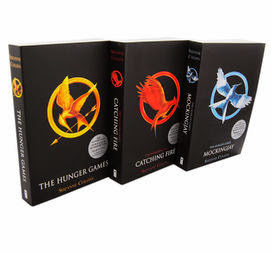 The Company noted that Catching Fire is the first 2D film to become the top-grossing film of the year since 2008. From TheHungerGamers.net and all the tributes around the world, Congratulations to Lionsgate, and the whole talented cast and crew! 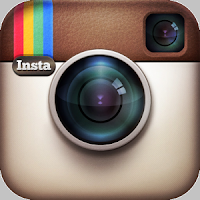 We couldn't be more proud of this. The odds are most certainly in our favor.